If there is no criminally prosecutable element in the act of the citizen of Azerbaijan having crossed the border of the Republic of Armenia and the person wishes to return by his own will, we will obviously deliver him to Azerbaijan. This is what Minister of Justice Artak Zeynalyan told journalists on 19 March, touching upon the case of the Azerbaijani having crossed the border on 16 March. He urged journalists not to give evaluations on whether he unlawfully crossed the border or not. “The person is currently arrested and preliminary investigation is underway,” he stated. 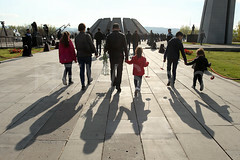 Elvin Ibrahimov crossed the border of the Republic of Armenia near the Barekamavan village of Tavush Province on 16 March 2019 at around 01:00-01:30. 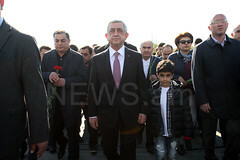 According to the documents that he had, he is a citizen of Azerbaijan. A criminal case under the elements of part 1 of Article 329 of the Criminal Code of the Republic of Armenia has been instituted in relation to the unlawful crossing by Elvin Ibrahimov of the border protected by the Republic of Armenia.